Things are looking sunny and possibly scorching, literally and figuratively, for the beach resort city of Nha Trang, Vietnam. In January 2018 international tourist arrivals have risen a massive 144% compared to January 2017. In a rather fated fashion, Khanh Hoa Province is scheduled to host the National Tourism Year event in 2019. Foreign and local investment is also growing alarmingly, properties surrounding Ma Thanh Stadium in Phuoc Hoa district has seen growths of almost double between the beginning of 2017 and the start of 2018, rising from an average of 35 million VND per m² to approximately 70 million VND per m². Condotels have become a formidable market in a crossover between real estate and tourism. Nha Trang, a beautiful beach city with sprawling sand, has not been spared. According to the Vietnamese Ministry of Construction, approximately 28,000 apartments planned for 2017-2019 fall into the condotel category, with most of the growth taking place in Da Nang and Nha Trang. The noticeable presence of mainland Chinese tourists has become crucial for local resorts, hotels and businesses, with arrivals in 2017 from China increasing a stunning 400% over 2016. Nha Trang has become a bookmarked budget beach heaven for many Chinese travellers hailing from landlocked provinces where sea and sand are a treasured sight. Reports of inaccuracies in historical introductions given to Chinese tourists by unlicensed translators have spurred local authorities to conduct enhanced retrainings for interpreters at important sites such as the famous Po Nagar Cham Towers. According to the Khanh Hoa Department of Culture, numerous shops that are specifically geared towards Chinese and Russian tour groups were disobeying local laws where it is decreed that foreign languages displayed on business signages should not form a majority of the complete text and where it should preferably be in small print alongside Vietnamese text. 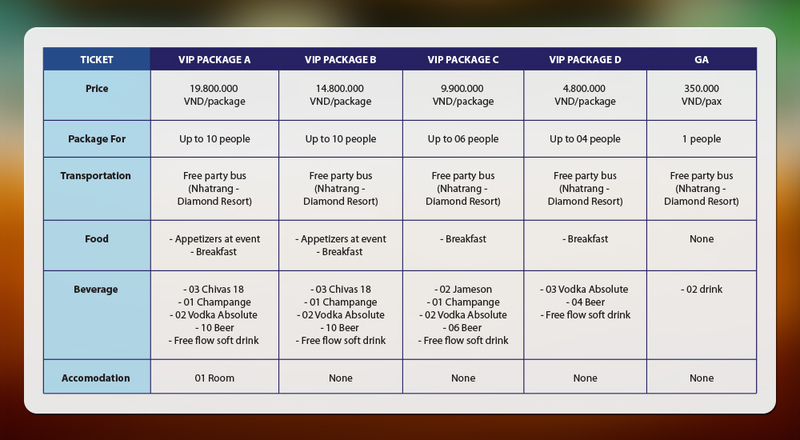 We asked Mr Remi Faubel, General Manager of Novotel Nha Trang, about these developments. I asked whether developments in beautiful, neighbouring Cam Ranh Bay would affect Nha Trang’s popularity. In May 2018 Cam Ranh Bay was named by popular travel magazine Conde Nast Traveler (cntraveler.com) as one of best seven places to visit, alongside goliaths including Paris, Sicily and San Francisco. Mr Faubel was optimistic that both locations were complementary and co-existed synergistically in the local tourism context. “Cam Ranh and Nha Trang are different. People visit for different reasons, they are not competitors. 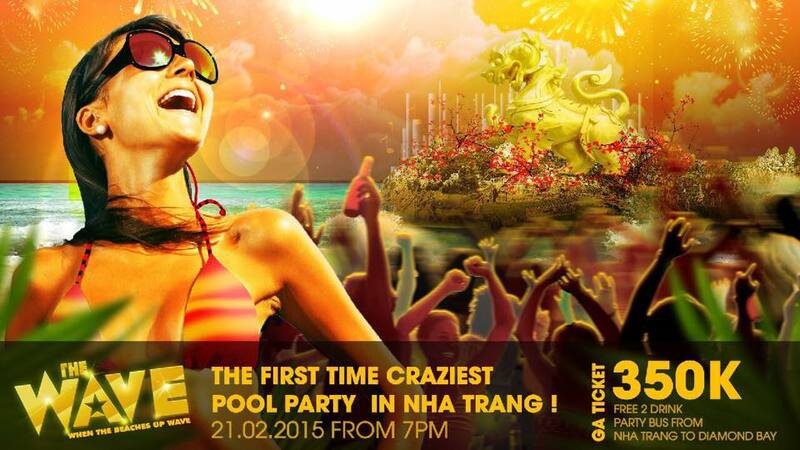 Nha Trang is good for entertainment and shopping. Cam Ranh is far away from the buzz… people visit to relax, especially Westerners.” Mr Faubel explained. At the same time, numerous smaller islets and atolls are being rediscovered by tourists while the main stretch of beach along the main road of Tran Phu is becoming increasingly over-saturated by beachgoers. The new international terminal at Cam Ranh Airport is now open and local authorities are being motivated to enhance key infrastructural needs to handle the increasing tourist arrivals. Cam Ranh Airport is close to both Cam Ranh Bay and Nha Trang and serves both destinations. Mr Faubel also hopes to see a more balanced mix of nationalities. New routes that have been scheduled alongside the opening of the new terminal will connect Cam Ranh Airport directly to Singapore, Thailand and Japan via regular flights. Perhaps for Nha Trang, the skies are literally the limit. Nha Trang is a seaside resort town, on the east coast of Vietnam. The region is easily accessible by air, road and rail. Cam Ranh Airport is an international airport and more direct flights from neighbouring countries are planned for 2014. There are regular flight to Saigon and Hanoi. The region has a tropical savannah climate with a lengthy dry season from January to October and a wet season in the following months. Typical downpours last for less than hour, followed by bright sunshine. Some 20 minutes from the airport and a similar distance from the town centre is the 18 hole Diamond Bay Golf and Villas, an Andy Dye signature design which is already gaining rave reviews about the condition, the breathtaking landscape and a thoroughly good test of golf for all handicap ranges. Play is possible all the year round as the course dries out very quickly, even after the hardest of downpours. The staff ate friendly and nearly all the caddies can speak English, which makes for a more enjoyable round. All the staff are local, so they can provide more information on where to go. 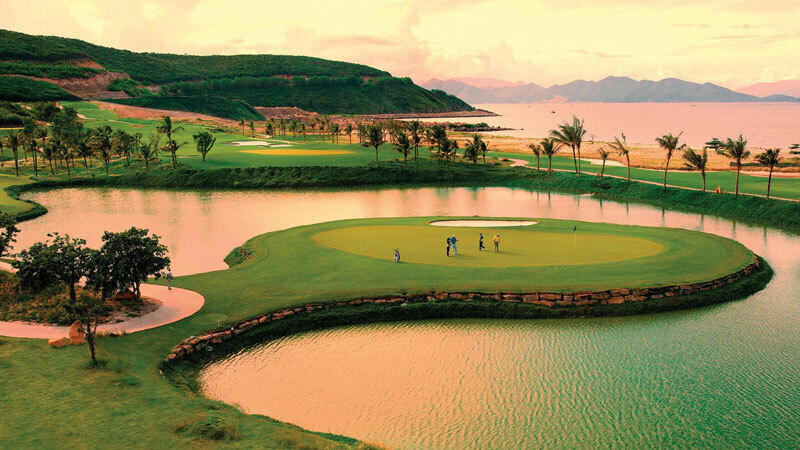 There is a world class driving range where golf balls are actually hit to sea, the only one of its kind in Vietnam. The recently completed clubhouse offers five star service, with a restaurant offering high class international cuisine, an upper deck with an unbelievable vista over the golf course and a spa and gym. The other golf course, Vinpearl is an 18 hole IMG design, par 71. It is located on the Vinpearl tourism complex and located on an island and is accessible by speed boat or cable car. Each hole is a unique challenge creating unmatched satisfaction and a memorable experience for the golfer. Each hole also has a view of the sea. 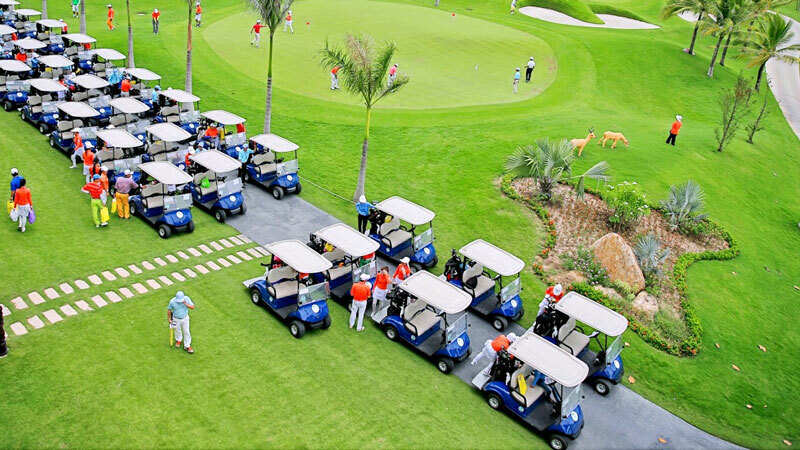 Both golf courses have their own individuality. Diamond Bay is surrounded by mountains and Vinpearl is overlooking the sea. They represent a different but most enjoyable challenge and experience and that is the reason why many golfers return many times to play the golf courses again and again. Good, affordable accommodation is easy to find in Nha Trang. Many international hotel chains such as Sheraton, Novotel, InterContinental and Best Western are all represented along the sea front and there are many high class resorts as well. The Ana Mandara near the town centre is the only resort located on the beach with others such as Mia and Amiana located further away from the centre. The two golf courses also offer excellent accommodation and other facilities. Diamond Bay Resort and Spa has 164 rooms and 160 bungalows and boasts one of the largest swimming pools in Asia. International chefs prepare foods from Vietnam, Asia and western style, to cater for all tastes. Vinpearl Resort is a fiver star hotel offering a range of attractions and Vinpearl Luxury offer 84 beautiful coastal villas, all styled in a Vietnamese way and creates luxury with privacy. It is easy to see why we call this “Golf in Paradise”. Nha Trang is a beautiful area to relax and unwind and that is one of the reasons the area is so popular. 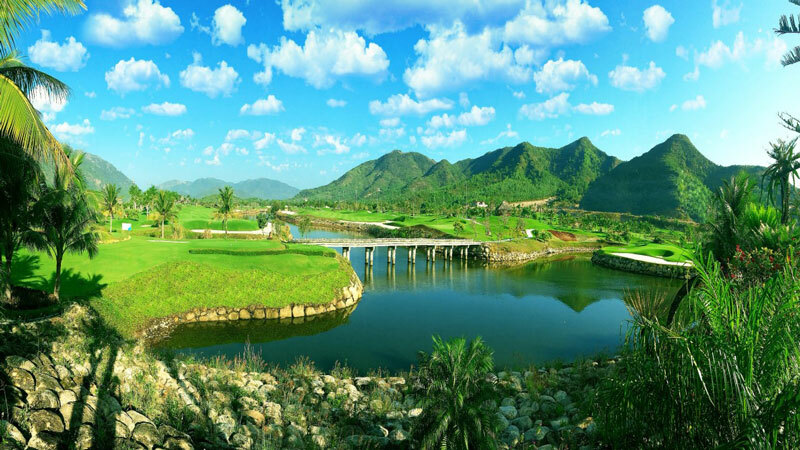 Coupled with excellent service, a sound infrastructure, Nha Trang is an ideal and enjoyable area to visit, especially for golf. With plenty of fun things to do with kids including its beautiful beaches, mountains, resorts and a great theme park, Nha Trang caters to each family member’s desires. Although it’s an easy overnight train trip from Ho Chi Minh City, be aware that not much is open at 5 a.m. at the time of arrival. A quicker option is to fly, just note Nha Trang's Cam Ranh Airport is about 40 minutes by taxi from the town. The accommodation options range from swanky five-star resorts to budget options. Some of the best high-end choices for families include the beachfront Evason Ana Mandara Resort, the brand new high-rise Intercontinental Nha Trang, Novotel Nha Trang and the nearby Sheraton Nha Trang Resort and Spa, all of which feature excellent facilities for kids, including pools and kids clubs. A great budget option for families is the family-run La Paloma Hotel about 10 minutes from the main tourist strip. With its lovely lush grounds, small pool and sweet little breakfast area, La Paloma is an ideal alternative. Once the accommodation is sorted it's time to plan the activities and Nha Trang has a lot to keep all members of the family happily occupied. VinPearl Land on Hon Tre Island is a must-visit no matter what ages your kids are. There's everything from a toddler play area to rollercoaster rides, as well as a great water park area, oceanarium and live dolphin shows. Plan to spend an entire day here and make sure you find restaurants near the water park area (ignore the fast food places near the cable car arrival port, they are of poor quality). Speaking of cable cars, access to VinPearl Land is available through a cable car ride, which gives great views of Nha Trang's beautiful crescent beach and warm clear waters. The cable car ride is included in the ticket price. The VinPearl conglomerate also houses an 18-hole championship golf course on Hon Tre Island, which will keep golfers happy for several hours or possibly even days. For some fun family pampering and laughable photos, head over to I-Resort for a mud bath experience. This is another activity that can take up half a day, especially for those who choose to dine at the resort. Nha Trang also is home to some interesting cultural attractions, including the Po Nagar Towers, remnants of the mysterious Hindu Kingdom of Champa that ruled Central and Southern Vietnam from the 4th to the 12th centuries. There's also the Long Son Pagoda with a giant Buddha statue and dragon-themed mosaics. Water babies and divers should check out the snorkelling and diving trips available in Nha Trang. Be selective in choosing a reputable dive center, such as Rainbow Divers or Sailing Club Divers. 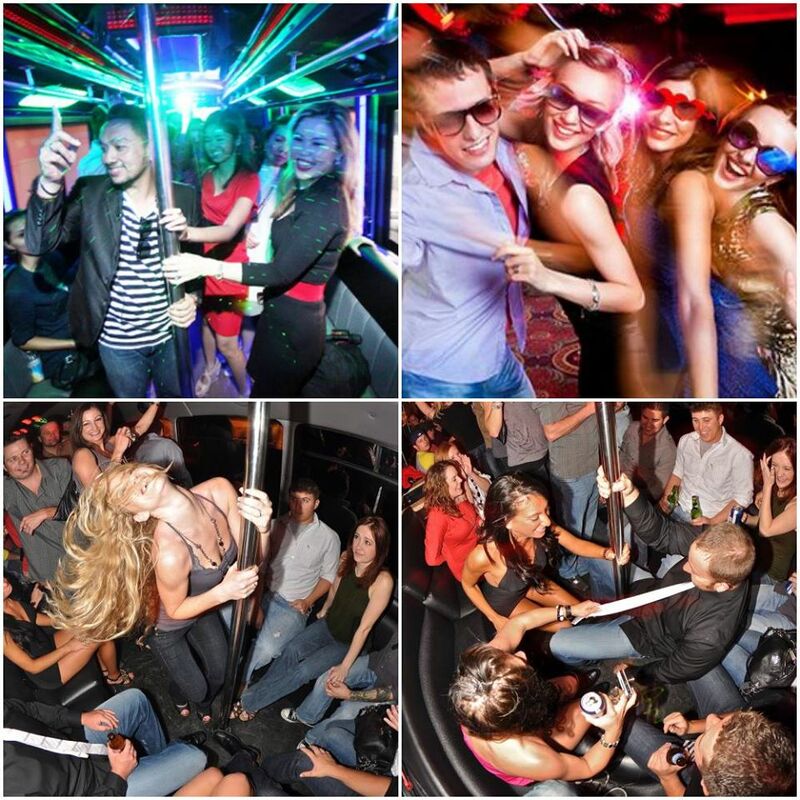 Get out on the water with an island tour, such as those offered by the party-centric Funky Monkey Tours. For a less structured day, make your way to Bai Dai Beach, about 20 km south of Nha Trang. Pull up a pew or a deckchair at The Shack and indulge in some great Mexican dishes or freshly caught seafood while deciding whether or not to rent a surfboard for a few hours. Bai Dai Beach is a great place to watch the sunset, with or without a few cold beers. Another great sunset location is Nha Trang's famous Sailing Club, right on the beach, with food and entertainment options to satisfy one from night to day. The Sailing Club's various eating areas serve breakfast, lunch and dinner, and one can choose to eat at a table, on a four-poster lounge or on a deckchair right on the beach. At night there's usually live music and more of a party scene, which often includes a bonfire on the beach. On the dining front, Nha Trang has a wide selection to suit every palate and budget. Join the locals at Lac Canh, a popular barbecue and hot pot joint or try local food in a more upscale market setting at Galangal or the long-time tourist favourite, Lanterns. For a pizza and pasta fix, head to Good Morning Vietnam (yes, an odd name for an Italian restaurant), for French home cooking, try the small and intimate Refuge, and for Indian, go to Ganesh. Slightly out of town is the hard-to-find rustic Nha Trang Xua, a thatched open-sided restaurant with a handwritten menu, set between a lotus pond and a rice paddy. Not much English is spoken here at all, so you'll need to use your best point-and-order technique. The basil rice and fish cooked in bamboo are highly recommended. So if you find yourself yearning for an easy and convenient weekend getaway with the family, Nha Trang is the ultimate family hideaway.